Punches the Strap Slot Oblong Hole Punch on ID Badges. Punches the strap slot on ID badges. Slot size is 9/64″x1/2″+. Available with an adjustable gauge and/or a long handle for punching through thick 32 mil plastic cards. 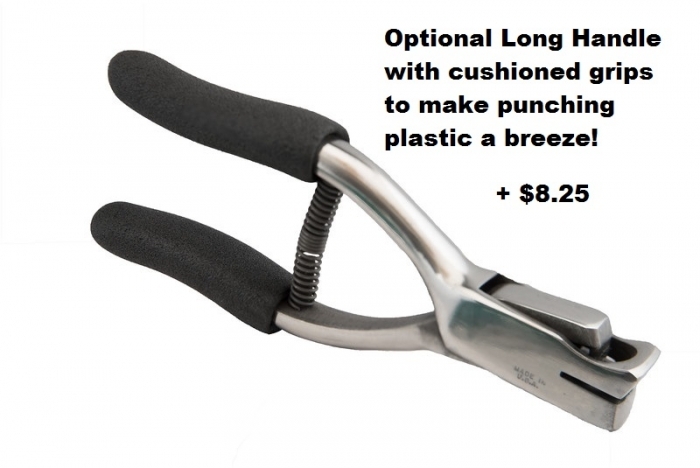 Add the long handle with cushioned grips to make punching plastic a breeze! 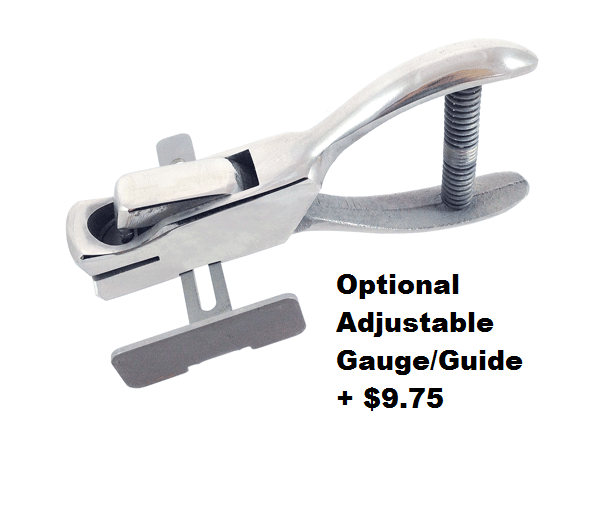 Add the adjustable side gauge to make sure you punch in the same spot each time. 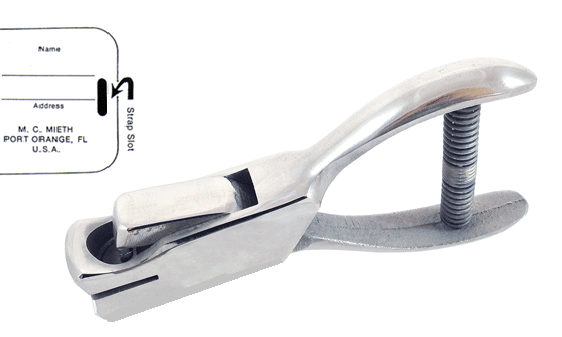 Punches 3/16″ from the edge.